My photojournalist teacher always said the hardest subjects to work with are kids and animals. That was proven to me Tuesday when I tried to get some shots of Lulu for a piece I'm working on. I am planning a story about summer foods for pets. Lulu got to be in the pool area at my apartment complex for the first time ever, and that plus the heat made her less than interested in taking part. But eventually, I was able to get some shots off. Not entirely happy with these either. I guess I'll try again. How come she never wants to smile? She looks like a dinosaur! This photo of Lulu is entered into the Life+Dog cover dog photo contest! If we win or place, we can win money for SPCA of Central Florida. If you are on Facebook, please go vote at this link. And, if you have Facebook and haven't already, please like our Facebook page for the latest updates and fun stories we find on the net. Also -- On Saturday, Doggy Day Out Orlando is happening at Dr. Phillips Dog Park from 10 a.m. to noon. Please come out and help us collect pet food for Pet Food Xpress, the Meals on Wheels program that helps feed the pets of MoW recipients. Find the details here. Finally -- my Kumfy Tailz harness giveaway ends Sunday! There's still time to enter. You can find the contest here. There's a disturbing trend happening at the animal shelters in the Orlando area. More and more pets have been coming into a shelters, and fewer are coming out and going to forever homes. Nebula is a seven-year-old beagle at Orange County Animal Shelter. She needs to be out this weekend. Local TV station News 13 (FULL DISCLOSURE: I work for them) did a story last week, where at least three shelters -- Orange County Animal Shelter in Orlando, Osceola County Animal Shelter in St. Cloud and Halifax Humane Society in Daytona Beach are all operating at full capacity. Many of the shelters are doing low-cost or no-cost adoption events to get pets out to homes. But more come in every day. And these shelters ARE NOT No-kill. That means animals could be euthanized. 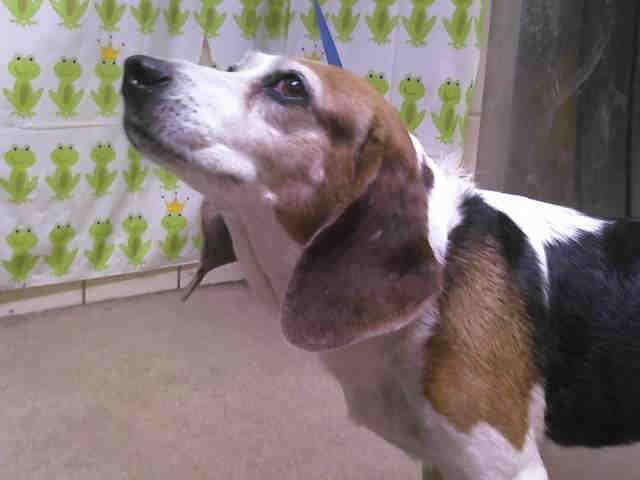 We at Life With Beagle are not sure what is going on at, but what we do know is these shelters need help. You can also always adopt from animal rescue groups, and also area SPCA and Humane Society shelters. These easiest way to find a pet is through Petfinder.com. Many of the area's animal rescue groups are on there. This Saturday we're hosting Doggy Day Out Orlando! We are collecting dog and cat food for pets of people who are Meals on Wheels recipients, Saturday morning from 10 a.m. to noon! Please come out and help. Here is what it's all about! Pet Food Xpress is a program run by SPCA of Central Florida. They work in concert Meals on Wheels, Seniors First and the Osceola County on Aging. Wendy Letchworth, who helps run the program, says it began 13 years ago. "It was the idea of a volunteer," Letchworth said. "She noticed that many of the seniors who were receiving food through Meals on Wheels were sharing the food with their pets. The concern was that the seniors weren't getting the food and nutrition that they needed because they were concerned about feeding their pets. "The SPCA met with MOW in the three counties we service and the Chow on Wheels (now known as Pet Food Xpress) program was born." Volunteers deliver food around once a month to the seniors with pets in three Central Florida counties: Seminole, Orange and Osceola. But that's not all they do. "The volunteers drop off food and sometimes visit with their senior," Letchworth said. "Occasionally, they help transport the senior's pets to our clinic for their annual vaccinations and exam, if they can't drive or don't have a friend or family member to bring them." How many pets do they help. Letchworth says about 260 pets are helped, belonging to 130 seniors. Pet Food Xpress is always in need of 3 to 5 pound bags of dry cat and dog food, and also cat or dog treats. You can also donate money to help pay for the medical needs of those senior pets. And you can help by becoming an SPCA volunteer. 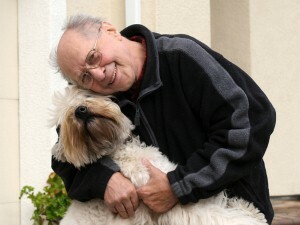 There are lots of programs all over the country that help seniors with pets. 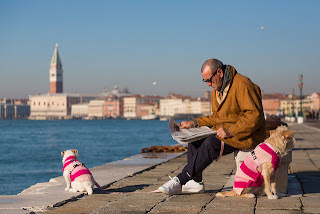 Numerous studies have shown that pets are very important in helping seniors stay healthy and active. And, as we all know, they provide lots of love and comfort. Here are a few programs that help pets and seniors. You can contact them to find ways to help in your community. Full Disclosure: I got an email from Minted.com a couple of weeks ago offering me free business cards if I talk about their products. Now normally, this isn't my sort of thing. HOWEVER... these are REALLY nice. Each item on Minted.com is designed by an independent artists from all over the world. The designs are picked through challenges. They make everything from greeting cards to business cards to stationary. It's also printed on high-quality paper, and some are customizable. I love the card above. It's called "North Pole Approval Form." I will say, some of these products are a little expensive. 25 of these cards are $64. On the other hand, if you are looking for something extra professional and high-quality, these are the way to go. I'm thinking about getting these for Christmas. 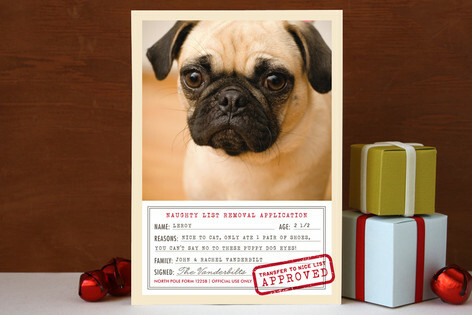 They have lots of pet-related products, and also some very nice business cards as well. If you are a blogger, and you're looking for something a little extra in marketing your blog, consider Minted.com. Also, I know some of my readers are artists. This is a great way to get your work out there. If you have some ideas, here is how to submit it to Minted.com. I checked out the AKC All-breed Show at the Central Florida Fairgrounds Saturday. I got to see a bunch of cute 13 inch and 15 inch beagles in action! Many of these beagles were bred by Lori Norman, whose group is called Lokavi Beagles. Many of her beagles go on to be champions and grand champions. In fact, Rebel, which Norman showed this weekend, is the top beagle in the country! Now these are proper show beagles. You'll notice they look different than Lulu. That's because Lulu is a field beagle. Different body structure. I also learned this weekend -- field beagles bay, but show beagles do not! Before we go, one more shot -- PUPPIES!!!!! Please vote for me, and you'll help SPCA of Central Florida! To vote, head here! On Friday, there are four parties will happen around the country, all benefiting different charities. "At each party site, we will sneak in good doggy manners in a fun setting, bolster the friendship bond between people and their dogs, and benefit a hard-working pet charity in the community. Attendees will enjoy serenading their dogs during K9 Karaoke, wiggle through agility tunnels with their dogs in the Four Legged Life’s Tunnel of Love game and much more!" Orlando's event is happening Friday night from 6 p.m. to 9 p.m. at the Maitland Civic Center on Lake Lily Drive and Maitland Avenue S.
The party costs $25, but the proceeds benefit Dogs 4 Disabled Veterans, a group that takes rescue dogs and pairs them with disabled veterans to help them get back into society. You also get a big goodie bag of stuff. There are also parties in San Diego, Austin and Dewey Beach, DE. And they all help different charities! So consider checking one out if you have the time. 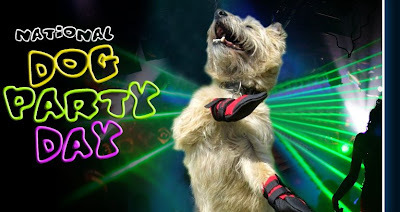 You can find all the information on the National Dog Party Day website. And -- are you interested in bringing your dog to work Friday? 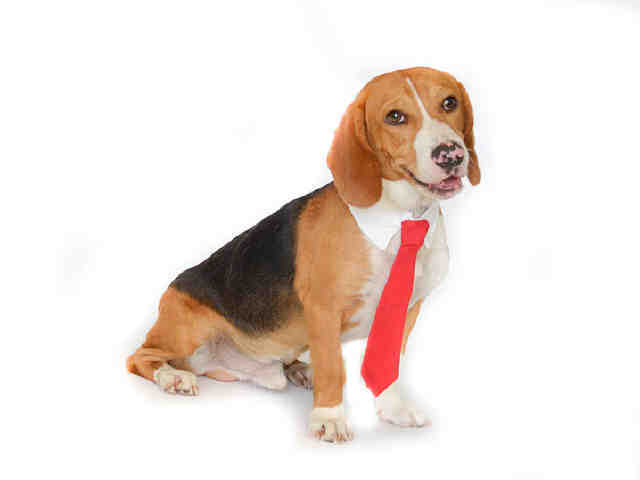 Check out the International Take Your Dog to Work Day website! Last month Petco happened to have a professional photographer from The Picture People at the store to take pet pictures. I wasn't sure what to expect, and it was kind of expensive, but I thought it might be cool and they'd be good to have for professional use. 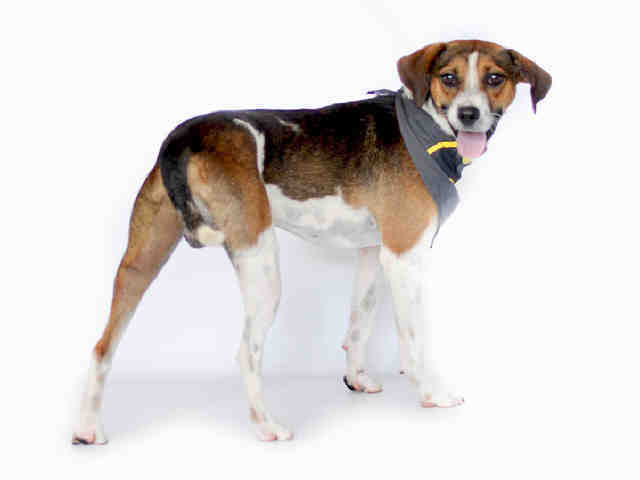 For Tuesday's Tails, we checking out the adoptable pets at Orange County Animal Services in Orlando. This is Snoopy. 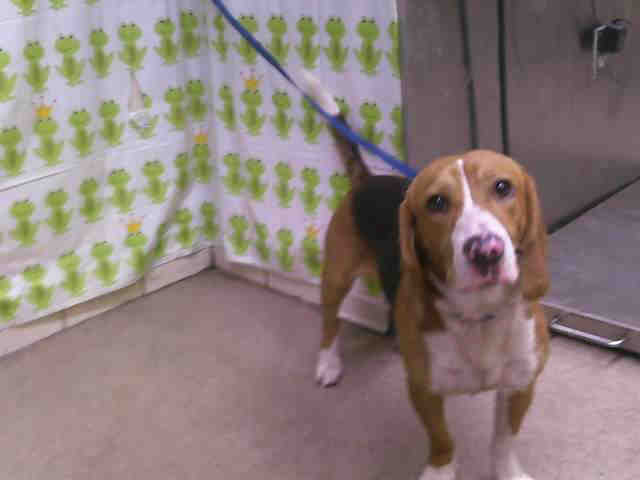 He's an approximately 1 year old brown and black male Beagle. He weighs approximately 29 pounds. Here's the newest picture. He's so CUTE!!! Snoopy needs a home. 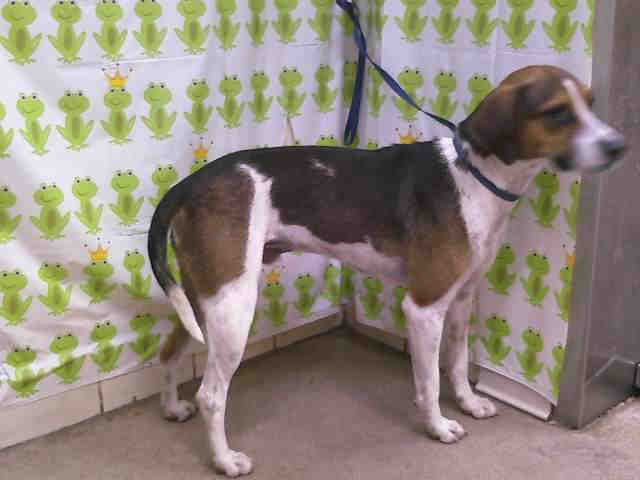 This treeing walker coonhound-beagle mix has now been named Bugle and is also a year old. He weighs about 37 pounds. He also is heartworm positive, but he can totally been treated. Here's the new picture of him! Please share these dogs on social media so they can find forever homes! Orange County Animal Services has lots of dogs, and unfortunately they are not a no-kill shelter. Many dogs get euthanized. So adopting a shelter dog saves the lives of more than just the one dog -- as long as there's room, the other dogs are safe until they find homes. To adopt a pet, head to the Orange County Animal Services website: http://www.ocfl.net/AnimalsPets.aspx. This is Marley. This dog's owner surrendered him to Pasco County Animal Services. Marley was euthanized in May. Marley's owner was a service member who was going overseas. Unfortunately, when these service members have to go on tour, their pets can't come with them. Or, if they live on military bases, some have breed restrictions. But there are some groups out there that try to help by finding foster homes while the service members are on deployment, or trying to finding a home. PACT for Animals: This group, which advocates for all kinds of animal rights issues, has a foster program for members of the military with pets who are going oversees. If you want to help them, check out their site. Dogs on Deployment: This site has a database for military members searching for someone to care for their pets while they are overseas. People can sign up to foster or help on their website. Guardian Angels for Soldier's Pets: This group offers all kinds of help for military families with pets, including some foster help. Check out their programs here. Sundance Pet Resort: Sundance in Independence, KY is part of a coalition of kennels that are donating space for dogs of people on deployment. Find more information on the Sundance website. Some no-kill shelters may also take on the pets of military members. It's best to ask ahead of time. Also, the American Humane Association has information on what service members should do if they need a foster family for their pet. That list of tips can be found here. Hopefully, by posting this, more pets will be spared Marley's fate. I leave you with a collection of videos of dogs happily reunited with their military service member owners. This was posted on Huffington Post. Wordless Wednesday: Every dog in the pool! Lulu is not often big on getting in the swimming pool, even the little kiddie pools at Dr. Phillips Dog Park. By the way -- the high in Orlando was 94 degrees today. And that ain't no dry heat! UPDATE:Congrats to Patricia O.! You've won the Kumfy Tailz Harness. Kumfy Tailz will be in contact with you soon! Lulu lounging in her Kumfy Tailz harness. Summer is here for folks in the northern hemisphere (feels like it's been here in Florida since April). That's pool parties, vacation trips, park visits and more. And if you are like me and bring your dog almost every where (ask my friends), that means your dog needs to have fun and keep cool too. So here are 5 products we've checked out that we like, and we think you will too. And we're giving one of the products away too! 1) Modgy traveling dog water system. It looks like a Capri Sun pouch with a matching water bowl, but this collapsible system makes sense for keeping on-the-go pets cool. Fill the Modgy bottle with cool water for the dog. The matching collapsible bowl and the bottle (more like a pouch with a squirt top), both clip onto a heavy duty carabiner. Use the bowl for food or for water. It zips up and reopens when you need it. And when you're done, you can roll it up and sock it away. Lulu slurps down the water bowl at the Modgy booth at Global Pet Expo. The material is BPA-free, so you don't have to worry about it being toxic or breaking down in the heat. Each set comes with a bottle and two resealable bowls, so if one needs to be thrown out, you have another one. The bottle also keeps water a little cooler than just a regular plastic bottle. This is great if you are at the beach, or hiking, or at places where packing light is a plus, and doggy hydration is necessary. The H2FidO system is $10.95 on the Modgy website. 2) Doggles -- Insect Shield Bandana. I love bandannas on Lulu. So when I spied this at Global Pet Expo, I knew I had to get one. The bandanna is made with permethrin, a natural repellent used in everything from lice shampoos to flea dips. It's meant to protect your pet against all kinds of bugs: mosquitos, ticks, ants, flies and fleas. And it's supposed to last through dozens of washings. Lulu has been on flea stuff, so I don't know if it stopped fleas. But it certainly did keep the bothersome gnats away from her at the park on a few outings. Thinking of getting one for myself. The bandana sells for $10.50 on the Doggles website. You can also get an insect shield t-shirt for your dog. 3)Bottle Buddy by Pet Links. Worldwise is the company behind such brands as Petlinks, Pooch Planet and SmartyKat. This year they introduced a line of eco-conscious products. 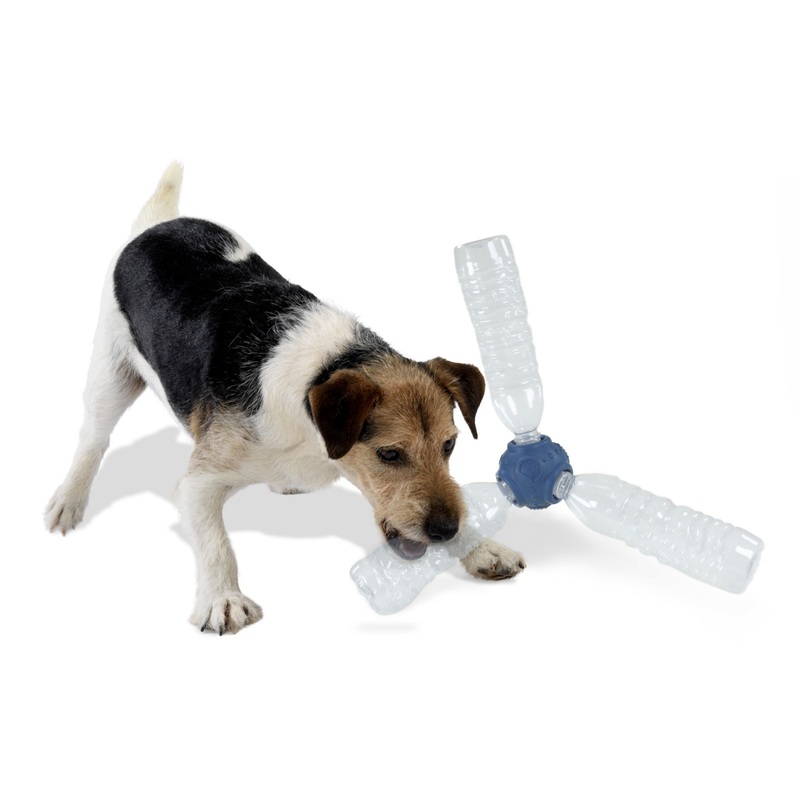 One of them is the Bottle Buddy toy for dogs, which give new life to empty plastic bottles. There are many types of Bottle Buddies, but I like the ones that allows you to connect several bottles (known as the Bottle Buddy ball or the cross), creating something that looks like a plastic bottle jack. Now, the bottle buddy is not a toy Lulu is interested in. She's not one for crinkle bottles. However, at Global Pet Expo Worldwise had videos of dogs playing with this toy poolside. The toy is light and has great buoyancy, so it pretty much glides on the water. Great for dogs. So I think this could be a great summer toy. Find the Bottle Buddy on Amazon. 4) Microchips. I cannot stress the importance of making sure your pet is microchipped. Even if you have a collar with tags on your pet, microchipping ensures you always have a way for people to reach you. June happens to be Microchip Month, so now's a great time to make sure it's done. There are a number of microchip registries out there, and lots of places to get your pet microchipped. Found Animals.org just opened a FREE registry that accepts all microchip brands and frequencies. You can sign up on the group's website. Make sure you have your pet's microchip number when you do. 5) Kumfy Tailz cooling harness. Here's an invention that is designed to keep your dog cool (or warm) right where it counts. It fits inside a pouch where the red part of the harness is. That piece is meant to help keep the pet's core cool, or, warm, as needed. Kumfy Tailz's invent says a lot of a dog's system is regulated through their core. It definitely cools Lulu's torso. It also fits really well. The only issue is the harness clips to the leash on top. Lulu is used to her Easy Walk harness, so she pulls on the other harness. Kind of annoying. But if it keeps her cool, I'm happy. Pepper the pomeranian just did a very thorough review of the harness. You should go and read it! KumfyTailz is available in several sizes and colors. It is available for sale on Amazon.com. HOWEVER -- you can also win one now! Kumfy Tailz will send one of their harnesses to the winner. The giveaway starts midnight June 8 and ends June 30 at midnight. To enter, you MUST leave a comment on what you and your pet do to stay cool in the summer, and YOU MUST LEAVE A CONTACT EMAIL ADDRESS. You get additional entries for joining me on Facebook or Twitter, and spreading the word about my giveaway. Good luck! Disclaimer: I received the Kumfy Tailz harness, the Bottle Buddy, The Insect Shield Bandanna and the Modgy water bowl system from their respective companies. However, I am accepting no money from these companies. 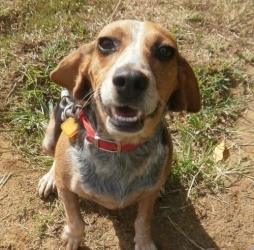 Shy and Tina: Please adopt these beagles! 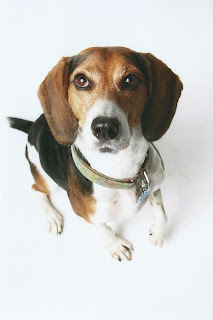 June 12, 2013 UPDATE: Shy the beagle was adopted over the weekend! Tina is still available for adoption at the Owensboro Humane Society in Kentucky. First, an update -- 50 cats and dogs were adopted from Pasco County Animal Shelter in Florida over the weekend! While that's definitely good news, they need more help. Pets are still under the threat of euthanization. Consider checking out the shelter if you are looking for a pet. Their website is here. If you are looking specifically for beagles though, I have two I want to put on your radar. If I could take them both, or even one of them, I would, but I can't. We need to find them homes. Shy is 3 or 4 years old, Tina is 2 to 3 years old. They're both good with kids and other dogs, possibly cats too. They both live at Owensboro Humane Society in Kentucky. The good news for Shy and Tina is the shelter is no-kill. The bad news is, it's starting to become their forever home. 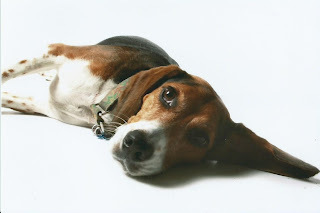 In Kentucky, Tennessee, and into Indiana and Ohio, beagles fill the shelters. Why? 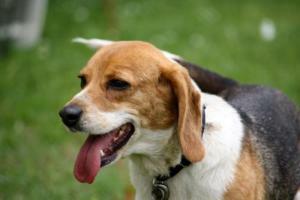 Many people hunt with beagles. If the dog does not perform the way the hunter wishes, sometimes the hunter gets rid of them. Bunny Allen, who works with Owensboro Humane Society and runs Carma Poodale.com, says it is very hard to get beagles adopted up there because there are so many, people have lots to choose from! It's sort of like pit bulls and labs in Florida (and other places, from what I understand). This means we need to cast a wider net. I want to see these two adopted. They are too cute to be stuck in a shelter. They need loving homes and families. Bunny says both Shy and Tina have sponsors, so their adoption fees are cheap: $40 to adopt Shy and $50 to adopt Tina. It includes spaying, meds and vaccines. PLUS Bunny says she will give six months of food to the adopter. 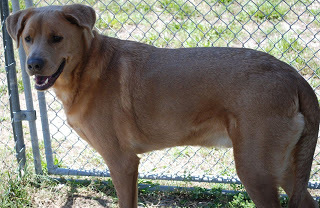 Owensboro Humane Society has lots of dogs and cats available for adoption, by the way. Here is their website. By the way, if you don't live near Owensboro, it is always possible to find a way to get a pet to you. There are many groups now that help transport pets, even across state lines. Every once in a while I think we all like our pets to have something an little fancy. But we also want it to be functional, right? So when DogIds.com asked me to pick some personalized pet products to review, I jumped at the chance to review the "Not So Fast" dog bowl. DogIds.com uses laser engraving to personalize the pet items. I will say that the engraving itself is pretty good. Lulu and I are generally rough on things, and we've had this bowl at least a month and a half and that engraving still looks new. And it's a sturdy stainless steel bowl. It also can fit into an elevated bowl stand if you want that. A stand can also aid digestion. You get to choose up to 12 characters to engrave on the item, in the font of your choice (I chose Lucida, it's my favorite). But... is a "Not So Fast" bowl worth the money? It is if your pet is a gobbler. Eating too fast can lead to digestion problems. I actually timed Lulu with this bowl, and a regular pet bowl. The not-so-fast bowl has 2.5 quart volume, according to DogIds.com, so while it seems like a big bowl, it fills up fast. I put in 2 cups of kibble -- Lulu's daily serving. A few days later I filled a regular bowl with Lulu's 2 cups of kibble, and set the bowl down. And she finished in 3 minutes, 35 seconds, and that was with me dropping something in the sink on accident and interrupting her (she gave me a dirty look). Does a minute make a difference? Trust me, Lulu is burping like crazy over here, so it does. The Not So Fast bowl is $19 with the engraving, which is pretty comparable to non-engraved stainless steel dog bowls on Amazon or Petco. The bowls only come in one size. If you have a pomeranian, you may not want so big a bowl. Or it may not matter to you. Takes a little longer to get, since it has to be engraved. So you could wait a couple weeks to get your bowl. Not looking for a new dog bowl? DogIDs.com has collars, leashes, beds, and even a doggy backpack that can all be personalized. They also have a selection of non-personalized items, from toys to gates. Have you ever done any personalized items for your pets? Full discloser: I recieved the Not So Fast bowl for free from DogIds.com. Last October I co-hosted an event called Doggy Day Out Orlando, at Barber Park. Me, Brian from Central FL Top 5, and our dogs. That scarf has gone missing, btw. We met some great dogs and their owners, and got lots of donations for Harbor House of Central Florida and their new kennel for domestic violence victims' pets. And lots of great companies donated prizes for people who came! You can read all about the first Doggy Day Out here, and see our walk-through of the new Harbor House kennel here. When: Saturday, June 29 at 10 a.m.
Who is Pet Food Xpress? Pet Food Xpress is a program by SPCA of Central Florida that provides pet food and treats to seniors who are on the Meals on Wheels program. They provide food, treats and sometimes, veterinary care. Right now, Pet Food Xpress helps 130 seniors and 260 pets in Orange, Seminole and Osceola counties. I wrote a post going in-depth on the program. Read all about it here. Dog food: Small, new, UNOPENED bags, 3.5 to 5 lbs. Cat food: Small, new, UNOPENED bags, 3.5 to 5 lbs. If you bring a donation, you get a raffle tickets for a chance to win prizes! We'll have more awesome prizes donated. So please come to Doggy Day Out Orlando 2 and help a worth cause. We'll be talking more about this in the coming weeks! CALL FOR SPONSORS: I am seeking donations of prizes from companies both in Central Florida and Nationwide. Anything from gift basket to gift cards. We are looking for any and all donations. Please let us know if you wish to help by emailing Christie Zizo at czizo@cfl.rr.com . Depending on who you pay attention to, we are expecting up to 20 named storms (NOAA) or up to 18 named storms (Dr. William Gray from Colorado State University). Either way, we are bracing for a pretty active storm season. Even if not every storm is the big one, if it comes to our shores, it will have an impact in that area. Last year I wrote a pretty detailed post on preparing and dealing with the aftermath of a storm when it comes to your pets. You can read that post here. Have all your paperwork together in a water-proof case. Latest rabies and other vaccine information, microchip info, and tag info, vet info, any other paperwork you need for your pet. Have it ready to go if you need to leave for any reason. It will help in making sure you can get your pet into whatever shelter you take, be it a hotel or an emergency shelter. By the way, shelters can change, be closed or moved. The best way to know where the pet friendly shelters are near you is to ask your area's emergency operations center. Many counties and cities have them. While we're at it? Is your pet microchipped? Collars and tags can come off. If you are separated from your pet, having that pet microchipped with your address and contact info makes it easier for rescue workers to know that this is someone's pet, and that, hopefully, you will be looking for them. Make yourself a storm kit for your pet. Food, bowls, clean water, toys, a blanket or something that is comforting, medicine, collar, leash (NOT EXTENDABLE), rain gear, crate. If you are getting gallons of fresh water for yourself, make sure you pick some up for your pet too. You might want to stick with dry food, since if a storm hits you may be without water or power, so you won't be able to wash a dish or keep wet food refrigerated. If the pet's medicine needs to be kept cool, find a way to do it. Amazon.com actually sells medicine coolers , special travel bags designed to keep medicine cool. Some are simply small insulated bags meant for insulin... some are more elaborate. Keep your pet calm and happy during the storm. Now is a great time to check out a Thundershirt or Anxiety Wrap if your pet has a problem with storms. It may help them stay calm. You can also try calming aids and essences. Your vet might be willing to prescribe meds if it's really bad. 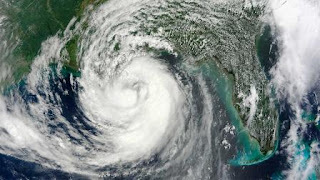 You and your pet may be stuck inside a day, maybe more (Hurricanes Frances and Jean in 2004 lasted at least two days each. I'll never forget it). You may not be able to take your dog out. Find a spot for pee pads and make sure your dog knows this is where they go. Or make sure, if you have a cat, you have extra litter. But also, keep them distracted. Treat balls and puzzles are great for this. It gives them a way to exercise their minds and gets them tired. Just remember that whatever kind of activity you do, during a storm you want to keep away from windows. It's safest. After the storm, be careful where your pet goes. Your backyard may not be the safest place for your pet to be alone after a storm. You don't know necessarily what debris is in your backyard, or if there are holes in any fencing, and there will be standing water, which leads to more bugs, on top of being enticing to play in or drink. It's best to watch your pet until you know all dangers have been removed. Lulu during a storm. She's usually calmer than I am. Above all, stay calm. If you stay calm, your pet will be calmer. And, if you come out of a storm in good shape, think of your neighbors and see how they might need help. It quickens the recovery, and strengthens communities.